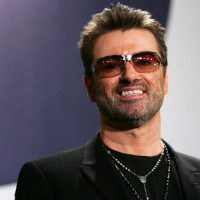 Sean Gallup/Getty ImagesNot only did he leave behind a legendary music catalog, the late George Michael also left behind a prolific art collection as well. Over 200 of the most iconic pieces from his private collection are going up for auction at Christie’s auction house in London next month. Before the London sale begins on March 14, the collection will go on tour. It will be on view in New York from February 8-11, Los Angeles from February 11-16 and Hong Kong from February 19-22. Some artwork will also be sold in an online auction running March 8-15. “The viewing of works from George Michael’s private collection will provide a fascinating insight into the broader tastes of a man who was a creative genius of the music industry, and admired all over the world,” Jussi Pylkkänen, the Global President of Christie’s, says in a statement. The proceeds from the auction will go towards continuing Michael’s philanthropic work. George Michael passed away on Christmas Day 2016 at the age of 53.